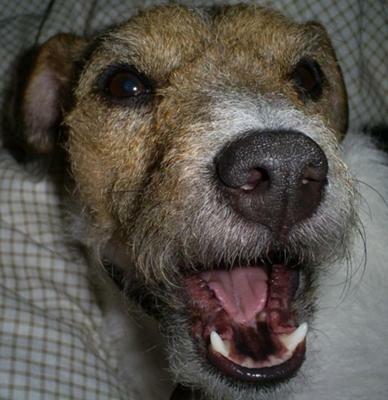 Nash is an unusually usual Jack Russell Terrier! He started out as a rescue that I adopted 4 years ago who was beaten and neglected by his previous owners. He had to go through A LOT of work with trainers and behaviorists to get him to regain trust and to learn some manners and it was well worth it! He comes to work with me every day, and cuddles with me every night. He is probably my best friend, and I could not imagine my life without this little Jack!